Pharm. Ahmed Yakasai, President of Pharmaceutical Society of Nigeria (PSN), has commended Sir Ifeanyi Atueyi, Managing Director, Pharmanews Limited, and his media team for their commitment and dedication to their duties. Yakasai made the commendation when he led the PSN executive on a courtesy visit to the corporate headquarters of the Pharmanews Limited, Lagos, recently. He said that besides the managing director of the media outfit, he was privileged to come across Pharmanews reporters, adding that whether health or pharmaceutical event, they were always there and timely too. Sir Atueyi, who appreciated Pharm. Yakasai for the visit praised him for what he described as his commitment to the cause of pharmacy and pharmacists in the country. Sir Atueyi said Pharm. Yakasai won his admiration for his concern for the elders of the profession as demonstrated two years ago when he granted free hotel accommodation to elders aged 75 years and above attending the PSN conferences. He also lauded the PSN president especially for his reconciliatory moves that had made hitherto aggrieved bodies to close ranks and drop litigation cases against the society. He recalled that Pharm. Yakasai had successfully resolved the longstanding conflict between doctors and other healthcare practitioners by consistently preaching inter-professional collaboration. Atueyi said he was fortunate to be nominated by Yakasai to chair one of such inter-professional collaboration committees last year adding that he restored peace among warring pharmacists in Anambra chapter of the PSN. Atueyi also extolled Pharm. Yakasai’s virtues as bridge-builder and non-tribal Nigerian, adding that it does not matter to him if you are Igbo, Yoruba or Hausa. He noted that Yakasai was the second PSN President to visit Pharmanews Limited, the first being Pharm. Yaro Budah in September 2001. He said it was a coincidence that the two are the only two Northerners so far to serve as PSN Presidents. On his part, Yusuff Moshood, Editor of Pharmanews, revealed that many have criticised his editorial judgment on why Yakasai kept making the front page of his publication but that in journalism, personalities make the news. “The truth remains that Yakasai is somebody that is always making things happen and you cannot ignore such a character,” he said. Moshood said that since he joined Pharmanews, he had never seen a PSN president who had made so much news like Yakasai. 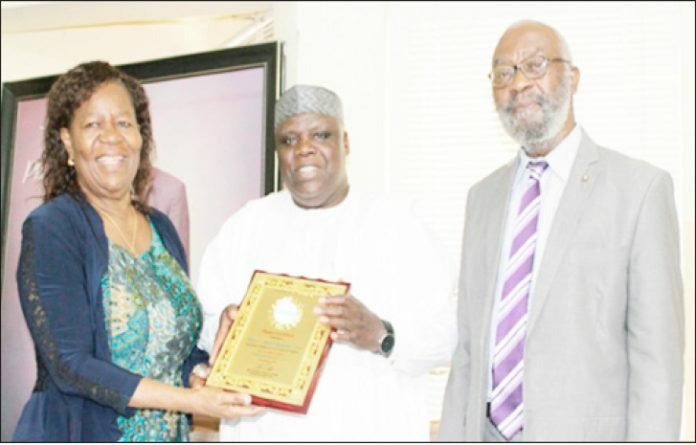 The highlight of the courtesy visit was the presentation of an award to Yakasai by Lady Joan Atueyi, wife of the publisher of Pharmanews for his unflinching support to the media house.